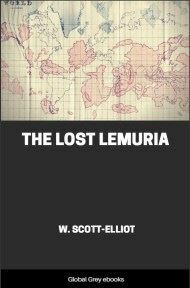 Written as a channeled message from a sage called 'Selestor', this is a 'kind of a novel' type book about Atlantis, recounting its history; from its rise until its destruction. 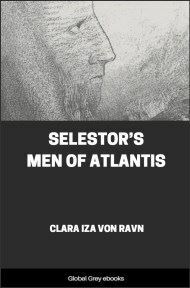 Selestor gives a lot of details about the culture and history of Atlantis, including their laws, industries and science. 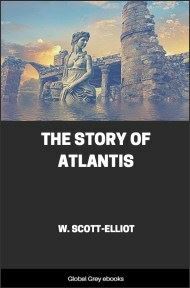 Atlantis was once a speck blown on the ocean's waves, a spot upon the foam, a floating nut that gathered to itself still other flotsam through the aeons gone and grew as all hath grown. At first a clod of earth on which no life existed, but the birds of air found rest for weary wings, and sore distress of thirst was quenched in the low pools which caught the water from a weeping sky. Wrecked ships gave matter for its shape and size, and elements in motion added much towards the building of that ocean isle—a grain from out the granary of the deep. Thus long it floated, sent out roots and sprays down to the coral of the deep sea bed and anchored; solid was it, not else could it have arisen from that dread wall of water in which it was engulfed. The aeons are the builders in God's building mart, and gave it size and beauty, all that land e’er gathered or land needeth. Fairer far it was than mine which shows its wastes of sand unsightly; blossoms on that isle were touched with rainbow tints as fair as those where ether makes the planes which ye call "Paradise." The seeds of fruits and trees were wafted from that land named Africa, and gems which made much wealth were once in galleys borne, and boats once torn to fragments by the wind and waves had given treasure to the ocean isle. 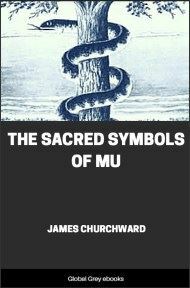 The gold had formed in God's great crucible where matter formeth by a method man cannot grasp but through the aeons, for no speck of time can so create that man may turn and say: "Behold the wonders of the earth and sea which have been formed in this brief span of time!" Volcanoes there rose pointed, high, through that fixed law of earth revolvement known to them who study earthy substances. Hot from friction of a mingled soil the growth is brief and thus a passage gives throughout the cone; gasses then are formed through suction, friction of the ether and the water force and all that activates the law, or task, and liquid from the solid thus is born, as steam from the heart of solid substance forms. The cooler surface of the earthy crust checks spreading principle and thus, condensed, the vapor rises, bursts the bonds of earth and makes a channel for the heated stone and moulten substance-lava. Like to all growths of short duration, these volcanic mountains; brief their beauty as a Summer's morn when all is calm, before the thunder's crash bursts fully, rending face of sky, distorting, piling high its clouds of blackness. And thus had grown Atlantis off the Western coast of Africa one long day's rowing if the winds were fair and waves beat not. The girth of that lost land was thrice, mayhap, of this strange spot thou callest "State," and every span was made a nest for seed, or to up-bear some work of man's deft art, or yet of forests grand with growth of giant trees. It rose a jewel on the ocean's breast and not one link of land to land was cast, but he who sought the shore of alien spot must journey in the galleys pierced for oars where slaves sat dumbly rowing all the day, chained, numb with labor or went down to death with shackles smiting and with curse on lips that man dared chain his fellow-God's own son as he—the brother—who was held as slave. 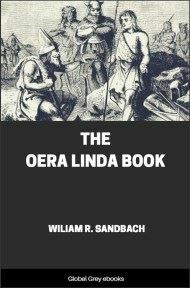 The miles which lay between the isle and Africa were, by computation of the law thy nation knoweth, five hundred stadia; it none the less the refuge was for persecuted men who risked their lives in fragile barks and every refugee was welcomed to that isle. They built them homes and throve upon its shores, for there was need of many men to till, to weave the golden reed, to build, at first but crudely, then the costly piles that crumble, crumble where the fish desport in sullen pleasure and where bright shells mark a spot within the shadows of the deep. The verdure on the island's plains from Africa was borrowed. The people of the isle, ere reason taught or one had learned a government to form, made war upon the tribes of that great country—in that day more great than any land of earth, vast temples rose where forests crowd the soil and cities mocked the marts ye view today. The people of Atlantis, question ye? A boat once drifted from the shore of "Italy"—then a barbarous land of murderous men who only held them higher than the brute, for those who knew them ranked them equal to the lower shape. Such people drifted, reft of sail and oar and cast by sea upon the fertile isle remained to people and to build in time, when generations passed who owed their lives to this one boat of fishermen and maids. From wreck of ships that drifted there to beat, perchance, in staves upon the shore, they added to their nation, to their grain and to their flocks, which but a bleating lamb began. 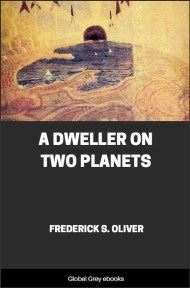 The men of old Atlantis held the form of men today, save that the skull did thicker bone growth show and slanting was each forehead. Shape designed to change as ages rolled along. Aye, beautiful the women of that race; lithe formed and pale the olive tint, nor faces black did mark the race and hair and eyes were dark as bird that croaks complaint.